We had experienced a reprieve from the harsh winter weather for a few days. So we decided to drive down to the Pine Ridge Reservation. Often on the news you will be shown pictures of the poverty and hardships there. But to me, it is a beautiful place with the badlands to the North and prairie buttes covered with pine trees to the South. The White and Cheyenne Rivers run through the land. From the road you can usually see horses and wild life. The majority of the people are hard working with a great love for their families and land. That is why they don’t want to leave the reservation, it is their home. 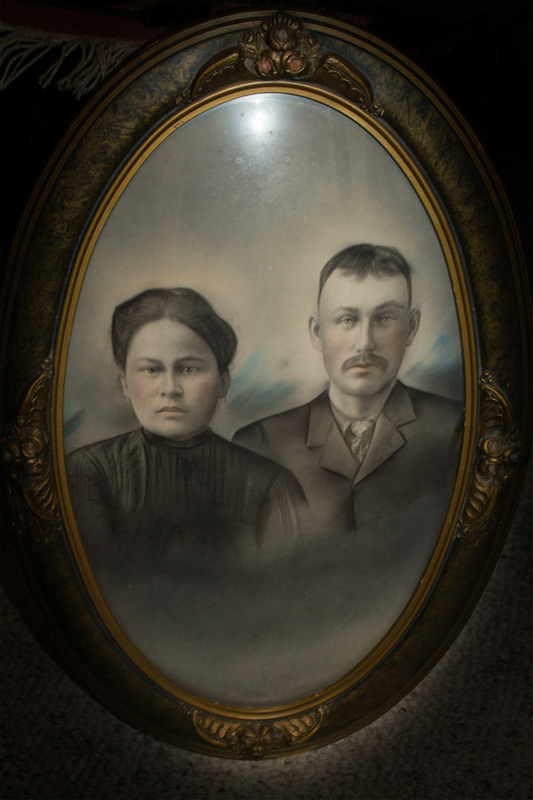 Susie Adam Mills and Ben Mills wedding picture (late 1800’s). 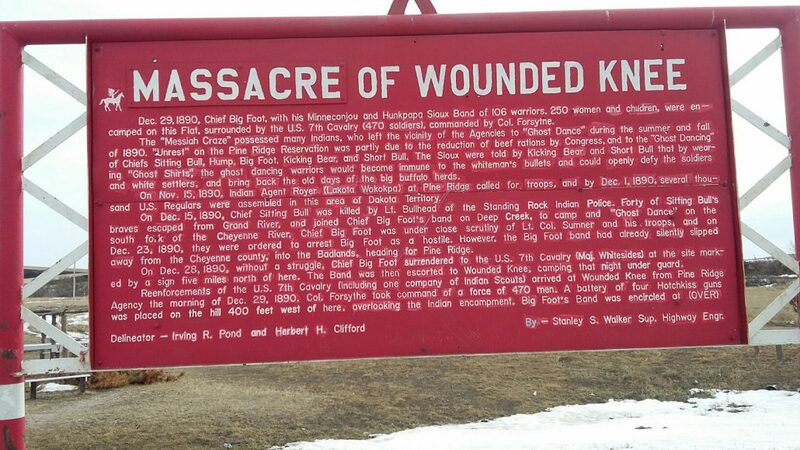 I had packed a picnic lunch and we drove to the sight of the Wounded Knee Massacre. It was chilly and as you got out to walk around you could feel the weight of what had occurred there. It was quiet and solemn and the wind blowing lightly. My Grandpa Ben Mills had homesteaded between Wounded Knee and Porcupine. My Mother, Ethel Mills, told me a story from the family history. When my Grandpa was building his home, he needed help so he sent for one of the Grandpas to help in the construction. Not knowing that the government had quarantined off the area because of the Ghost Dance. When he finally arrived he had been shot in the shoulder. Fortunately he was nursed back to health. 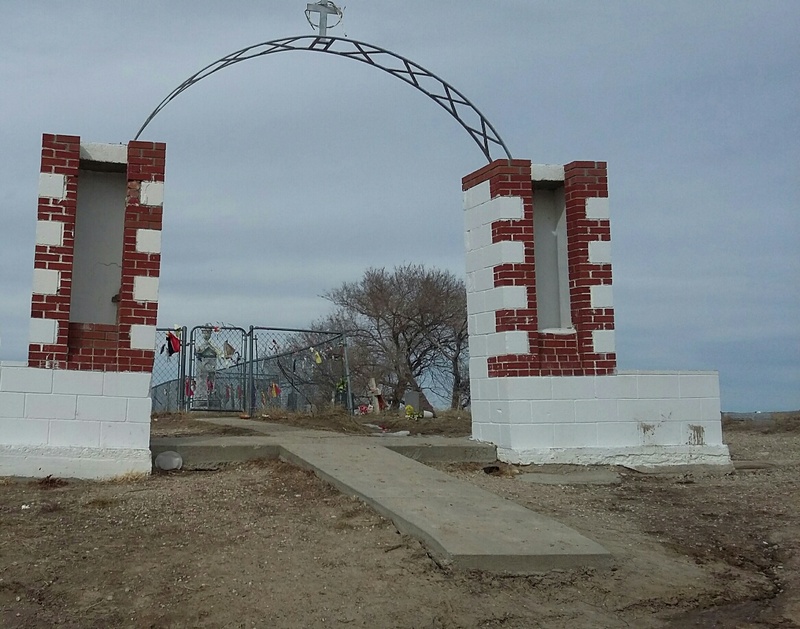 Wounded Knee is proof that the courage and strength of the Lakota people have endured throughout the centuries. Yes we might get knocked down, but not knocked out.